Travelling folksters The Rubber Wellies (formerly Harry Bird and the Rubber Wellies) present their multi-lingual cabaret of joyful, sing-a-long anthems, intimate ballads and anarchic participatory fun. Pirates, lizards, cracks in the wall and Basque cyclists all inhabit the songscape. 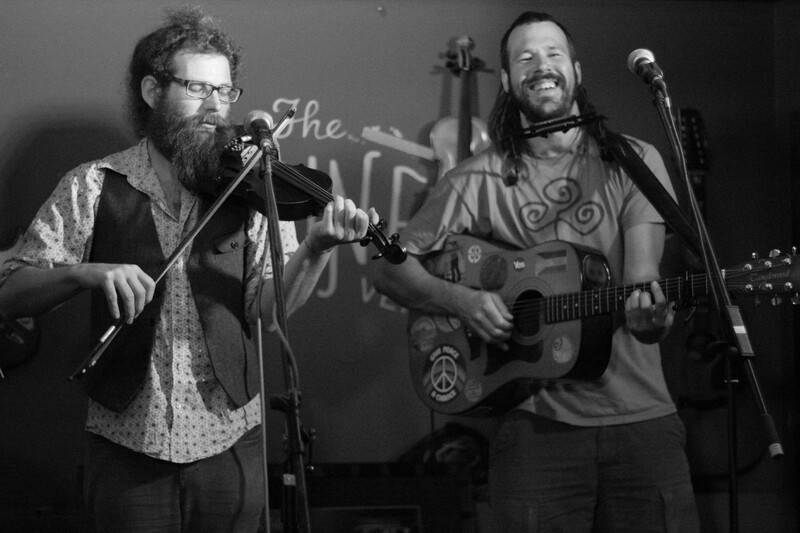 And a beard snood… They are currently touring with their latest album “Bricks and Feathers”. 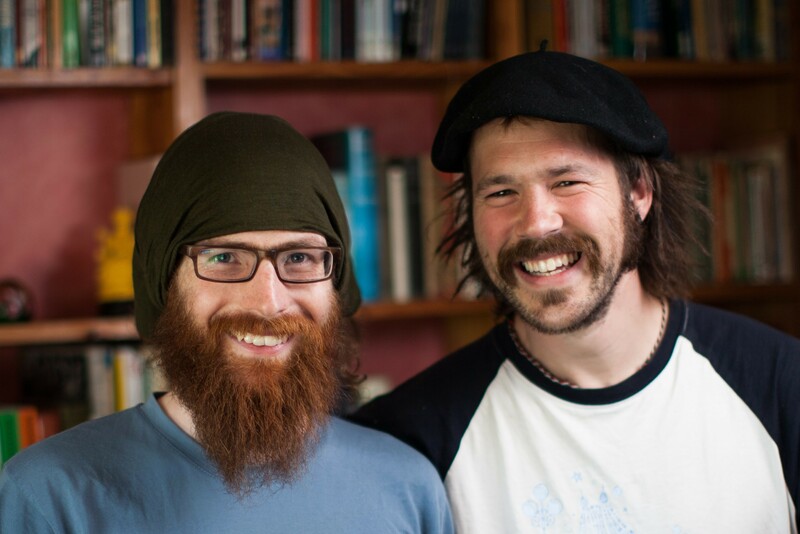 Skippered by guitarist Harry Bird (Cambridge/Edinburgh/Bilbao) and the multi-tasking Christophe Capewell (Sheffield/Dublin), they have spent the last eight years on the road. playing bars, cafes, circus galas, festivals, folk clubs and front rooms alike, cheering audiences all over from Galway in Ireland to Gisborne in New Zealand. After the success of “Long Way to Be Free” (2009) and “The Bones on Black” (2012), their third studio album, “Bricks and Feathers”, was released in May 2015 with the help of the usual crew of Wellies.